I almost thought this post should have been called Spoiled Wine Blogger Part II ... seeings how just one week after 'Spoiled Wine Blogger Part I, being wined and dined with Santa Julia wines, just happened the week before. 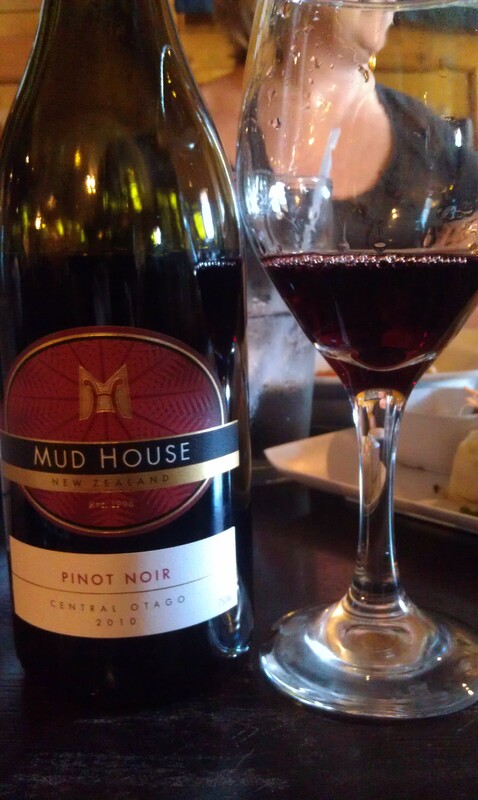 Yes folks, another awesome wine press luncheon, but this time I had a private wine tasting with the Winemaker, the Director of Sales, and a US Distributor for Mud House Wines of New Zealand. I could get used to these whole wine press luncheon thingies. Cough, Cough. seeings how just one week after ‘Spoiled Wine Blogger Part I, being wined and dined with Santa Julia wines, just happened the week before. 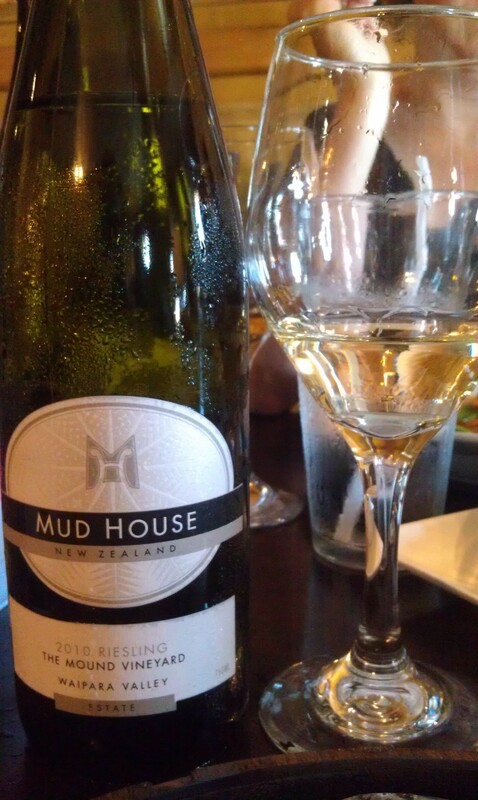 Yes folks, another awesome wine press luncheon, but this time I had a private wine tasting with the Winemaker, the Director of Sales, and a US Distributor for Mud House Wines of New Zealand. I could get used to these whole wine press luncheon thingies. 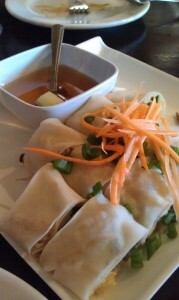 When I was contacted about this wine press luncheon, they asked me to recommend a place to meet to taste and have lunch. While most people would have chosen French, Italian, American Contemporary … not this wine blogger. I like to go exotique :) So I recommended Thai, specifically Thai Dee here in San Antonio! Why Thai Dee? It’s central, they’re a BYOB venue, food type would pair well with the range of wines of Mud House and I just love me some Thai food. Thai Dee is also a wine industry friendly place. On any given day one may see up to 5 different tables of wine industry folk holding business tasting lunches or running “quality control & food pairing” exercises. BTW, if you are a restaurant here in San Antonio that welcomes BYOB for wine industry folk let me know, I will add you to my list/recommend you. 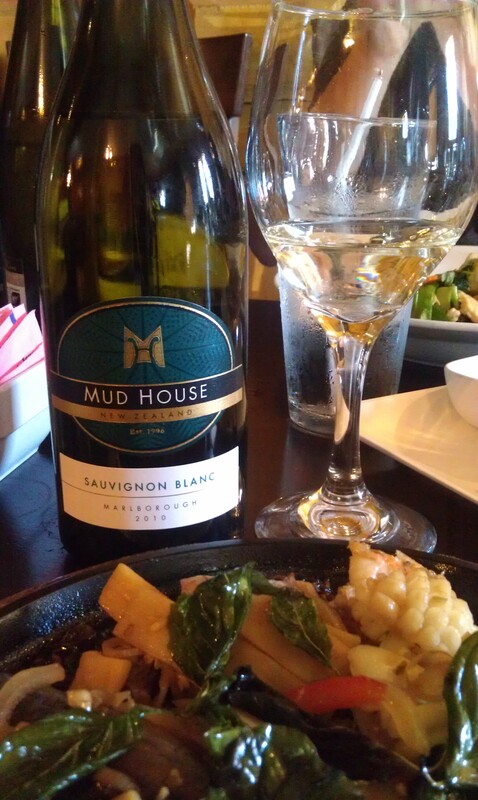 So moving along to Mud House Wines! I joined Cath and Mud House’s US & Canada Director of Sales, Peter Sheehan at the table. We chatted it up for a bit until Chris Nickolopoulos, founder and CEO of Maritime Wine Trading Collective, arrived. We all exchanged elevator speeches and then dove into the menu to make our choices! 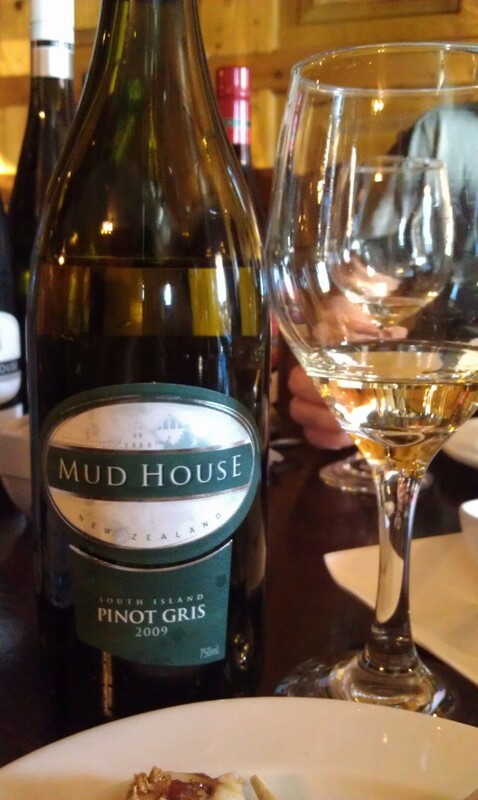 To begin the tasting, Cath poured us the 2009 Mud House South Island Pinot Gris. 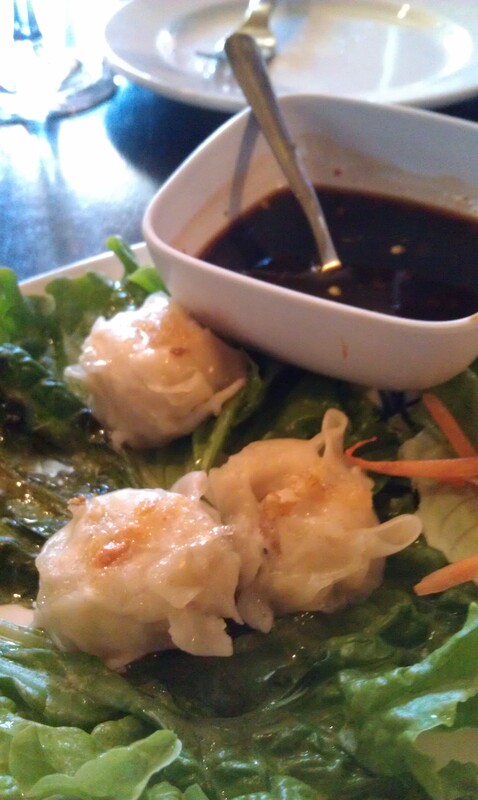 And Thai Dee Shrimp Dumplings! located in the Waipara Valley of New Zealand’s South Island. So what makes this Pinot Gris different from the one above? The first Pinot Gris is sourced from 2 different vineyard locations, where the second one comes from a single vineyard, hence the name “Estate” in the title of the second Pinot Gris. When a vineyard chooses its grapes from a single vineyard to make their wine, this generally means they are super proud of those grapes and want to show them off without blending them with grapes sourced from elsewhere. The “Estate” Pinot Gris has more developed and complex flavors than the first one. A little FYI, instead of using machines or humans to control the foliage of the vineyards, for this vineyard, Mud House uses sheep! Au naturel non? As we finished our appetizers and Pinot Grises a rather funny incident occurred. I had a huge craving for seafood and thought that a specialty Thai seafood dish would be a great option for tasting both the reds and whites that were to come. On the ‘specialty plates’ part of the menu there was a dish called ‘Angry Ocean’ and that is what I chose. Well, when the waiter brought the dish out it was steaming to high hell and when he placed it at the table, I guess you could say literally smoked out the others at the table … way to go Ceci Sipper. They were coughing and eyes beginning to water from the combination of intense steam and chili aromas curling through the air. It was both funny and embarrassing. Warning to myself … do not order intense steaming dishes at wine press luncheons, while you will be memorable, you also run the risk of being served with smoke inhalation damages, lol. Once the steam “cleared” and people stopped coughing from the smoking peppers, the food was delicious and certainly paired very well with the rest of the lovely wines we were about to taste. This Sauvignon Blanc was delicious, very much typical New Zealand Sauvignon Blanc aromas of passion fruit, grapefruit, tropical fruit aromas, greenery, and a zesty acidity. 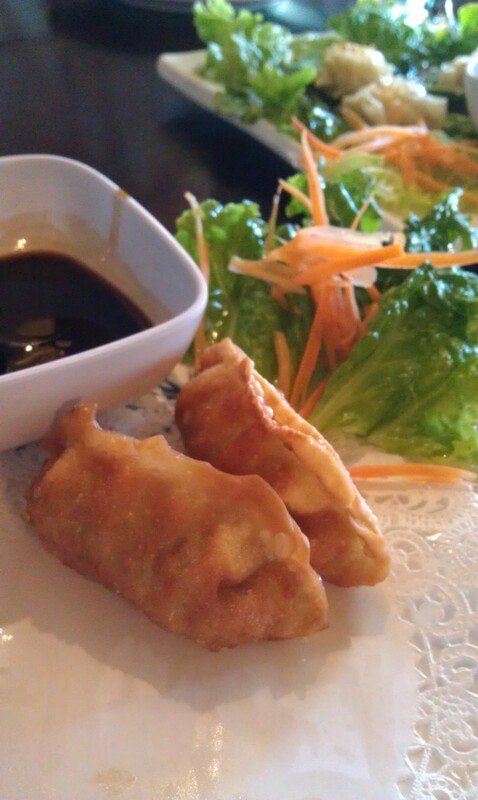 Yumm! Now I know some of you anti-New Zealand Sauvignon Blanc people out there are probably making some sort of silly face right now, and this leads me to a very important point I need to address … SOAP BOX TIME … For all you anti-[insert grape/wine region] folks out there, if you are presented with an opportunity to TRY/SAMPLE a wine (I understand not wanting to buy it to try it) … please, PLEASE don’t assume EVERY [insert grape/wine region] wine will taste like that, you may be surprised to find one or two you like. And for crying out loud, it is just your taste buds you are subjecting to minimal “torture” here. I cannot tell you how many times I have poured wines at events and people say “I don’t want to try that, I HATE that [insert grape/wine region].” Well you know what … I HATE chocolate, but guess what I do when people ask me to sample/try a piece of chocolate or something made with chocolate … I TRY IT. Why? Because maybe, just maybe that will be the one piece I actually like. DO NOT BE AFRAID TO TRY SOMETHING YOU THINK YOU ALREADY DON’T LIKE. Especially in the wine world because not every [insert grape variety/wine region]’s wine are going to taste exactly the same, TRUST ME! … End Soap Box. 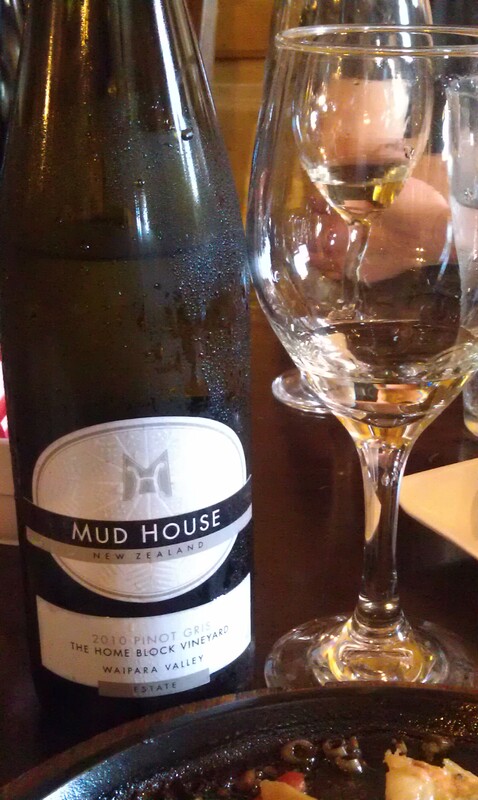 Next we sampled the 2010 Mud House Estate Riesling from the Mound Vineyard located in the Waipara Valley of New Zealand’s South Island. What a crowd pleaser! By that I mean, serve this wine when you have both sweet and dry wine lovers around, they will both find this wine appealing. This Riesling, again sourced from a single vineyard aka they want to show off these particular vineyard’s grapes, had aromas of lemon pie, a zest of lime, hints of flowers and a perfect blend of acidity and kisses of sweetness. 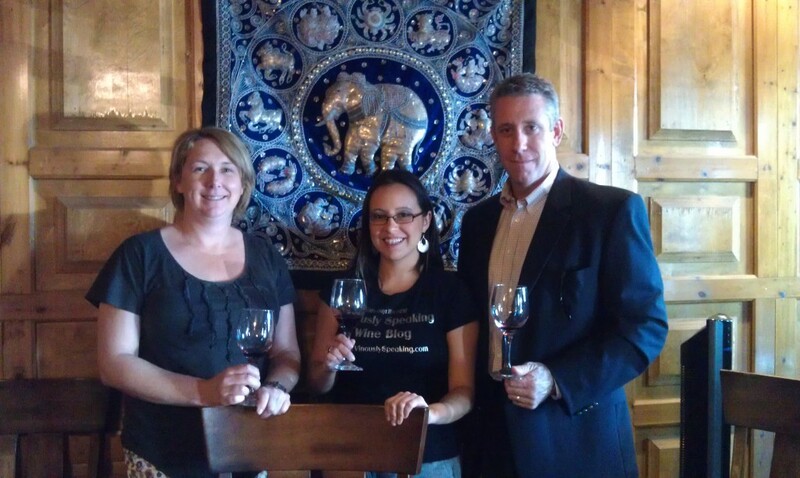 We wrapped up our delightful luncheon by tasting two Pinot Noirs. 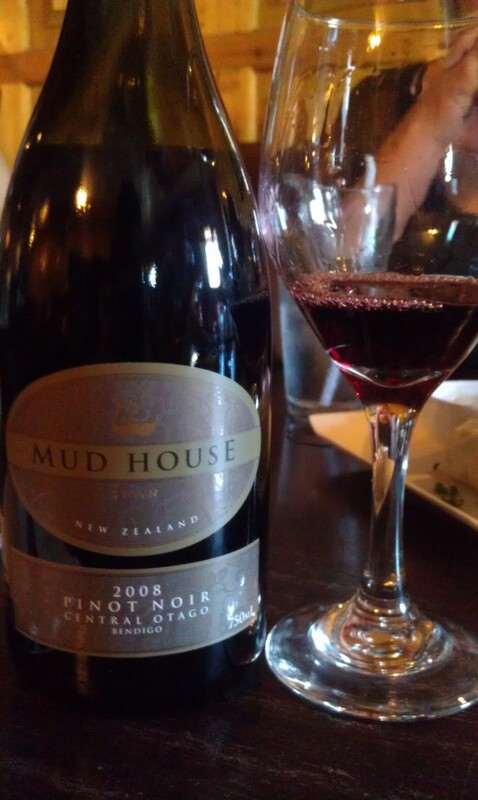 The first one was the 2010 Mud House Central Otago Pinot Noir. 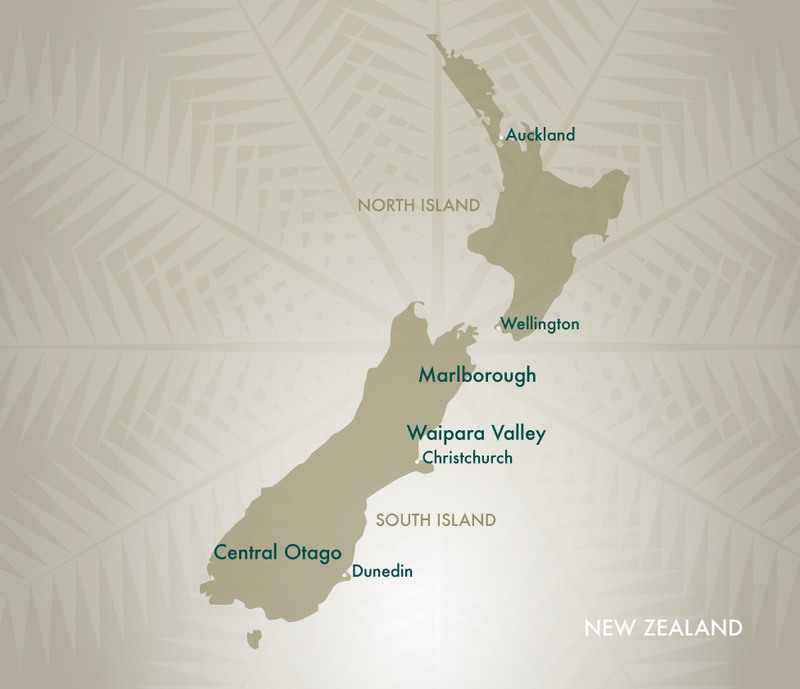 The wine growing region of Central Otago (see map above) is the only continental wine growing region in New Zealand and is also the most southern wine region in the world. This first Pinot Noir had delicious red fruit aromas, cherry and currant especially, hints of spices, thyme, and fall forest floor. A delicious buy! Our final wine was the 2008 Mud House Swan Bendigo Pinot Noiralso from Central Otago. Modeled after the French Burgundy Pinot Noir style, only select barrels of Pinot Noir from the Bendigo sub-region of Central Otago are chosen, the rest is used to make the above Pinot Noir. Boy was this wine gorgeous! Just coming from living in Burgundy I could tell that it shared similarities, a great forest floor and red fruits aromas, hints of cinnamon, cardamon, and herbs. Sounds like a perfect holiday wine selection to me!